The Statue of Liberty, perhaps the most famous work of public art in existence, was once the subject of steep criticism. While the sculpture was gifted to the US by the people of France in 1884, their generosity did not stretch to footing the bill for the pedestal upon which the statue sits. Reluctance from the US Government to pay for the platform resulted in the sculpture’s erection being delayed until 1886. Many in the US saw the statue as an affront to their patriotic views, believing that only Americans artists should create the public art on their shores. The New York Times caught the mood of many at the time, arguing: “No true patriot can countenance any such expenditures for bronze females in the present state of our finances.” And yet, the Statue of Liberty is now an icon for the values of the American people, its unique history adding to the pride and sense of community that it engenders. The very idea that the cost of the pedestal was once seen as too steep now seems beyond belief, but is not entirely surprising given people often underestimate the worth of public art. The true value of something that is free and open to all will always be difficult to pin down, but it is certainly clear that public art has the capacity to change the way people connect with a space. This gives it a unique kind of power that shouldn’t be underestimated. Lance Fung is an art curator and an expert in the realm of public art, having worked with Tatsuo Miyajima, Anish Kapoor, Zaha Hadid and Yoko Ono during his career. According to Fung, public art is ultimately there to “enrich the lives of everyone that experiences it, and those who create it”. Since the days of the Statue of Liberty’s construction, the notion of public art has gradually evolved. We are now much less likely to create commemorative statues, and more likely to dream up abstract or modernist works. 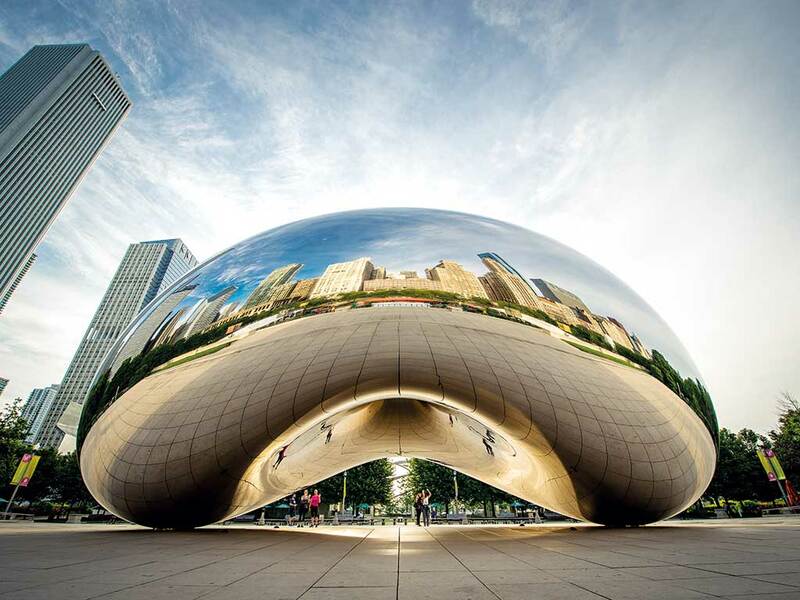 Anish Kapoor’s Cloud Gate is a classic example: the liquid mercury-inspired, bean-shaped construction, which is now located in Chicago’s Millennium Park, mirrors the surrounding skyline, resulting in a dramatic experience for anyone walking past the site. 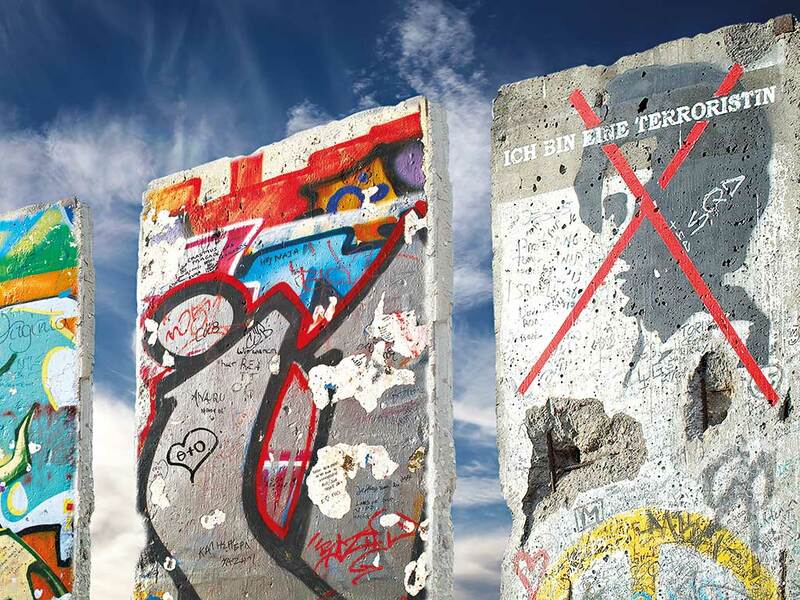 Other works of public art are entirely different in character: the murals on the remains of the Berlin Wall, for example, have become an icon of the once-divided city. The scope of public art is ever-changing and can take many forms, beyond sculptures or murals. For example, it increasingly invites some form of interaction, where the public’s participation is an integral part of piece. As a very visible display of what is often public spending, public art can be an easy target for criticism. Many are unaware that, while public art is a free experience for anyone who passes by, it can actually have very real economic benefits. One project where the economic impact received rigorous investigation was the New York City Waterfalls, a temporary work by artist Olafur Eliasson, which consisted of gigantic waterfalls at four separate sites across New York City. A study into the economic benefits of the project, published by the New York City Economic Development Corporation, calculated that, over the course of their instalment, a massive 1.4 million people viewed the waterfalls. Many of these people came from out of town and had extended their trip or visited New York specifically to see the work. Based on the boost in tourism and spending in the area, the total impact of the work was estimated at $69m. As a result, despite it coming at a hefty cost of $15.5m, the project demonstrated that public art can indeed carry powerful economic weight. Because of this economic potential, public art is often utilised in regeneration projects. In fact, such a project was the spark behind one of the UK’s most famous works of art: the Angel of the North by Antony Gormley, which is located in Gateshead. The vast steel structure of a featureless angel, which has a ribbed exterior reminiscent of early airplanes, overlooks a major motorway, ensuring it is seen by tens of thousands of people a day. It has become a symbol of northeast England, sitting on the now-defunct coalfields that mark the entrance to a region that struggled in its transition out of the industrial age. 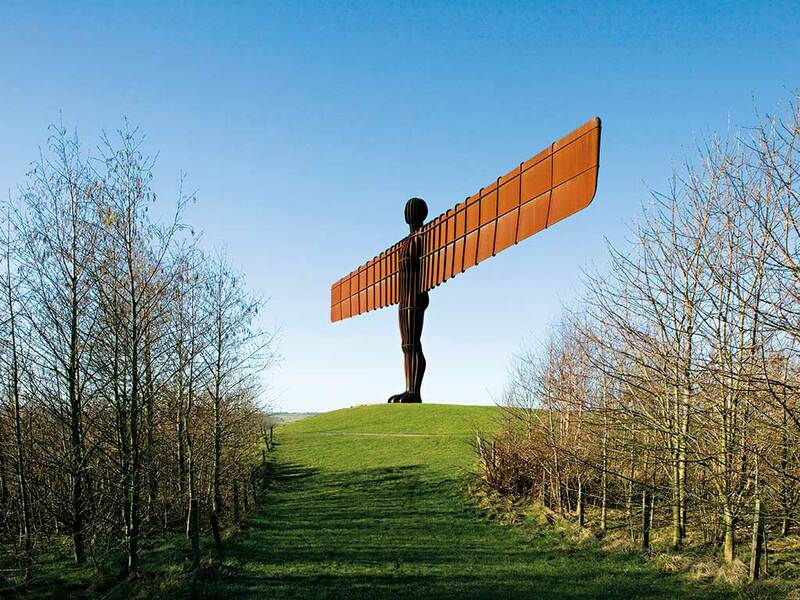 The iconic statue has been credited with accelerating the pace of development in Gateshead, with an increase in investment, business activity and employment all coinciding with the start of the ‘angel era’. Furthermore, the exposure Gateshead has gained over the years – while admittedly near impossible to quantify – would have cost millions of pounds in advertising. The wealth of art is a factor that plays a hugely influential role in where businesses choose to locate. 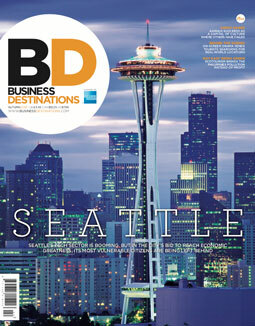 A survey by the Joint Legislative Committee on Cultural Affairs found 99 percent of CEOs considered the availability of cultural activities to be an important concern in deciding upon a new location. While a convincing argument can be made for the economic value of public art works, focusing on such benefits ignores the driving factor behind public art. Fung told Business Destinations: “Art is really around to open discourse, engage and inspire people, and add to a particular situation.” As a curator, he is the brains behind many installations in public spaces around the US, including the Artlantic project, which transformed vacant lots in Atlantic City into a striking park system. Good public art is ultimately community-driven: it is space-specific, and its meaning cannot be separated from the space in which it is located. According to Walsh: “The benefits of public art are community inclusive – from community pride to historical marking.” One example is the Mural Arts Programme in Philadelphia, which has been studied to show the positive effects that public art can have on the mental health of a community. Moreover, studies have found the aesthetics of a place can lead to a sense of safety and belonging, leading to communities caring more about where they live. Of course, works of public art can have varying degrees of success. According to Fung, the bulk of public art is not good: “Often, public artwork is ready-made, purchased and then drop-shipped onto site… This often results in very superficial objects being placed in the name of art.” He refers to the rise of what is known in the industry as ‘plop art’: art that is used to revamp a public space, yet is ultimately tasteless and ill suited to its surroundings. Furthermore, choices regarding public art pieces inevitably involve an element of risk, and their public reception can be unpredictable. Famously, in 1981, a rusting, wonky steel wall was erected in the middle of the Washington Plaza, at a cost of $175,000 to a local scheme for public art. The sculpture, Tilted Arc, was conceived by revered minimalist artist Richard Serra. Immediately following its erection, public opposition to the sculpture began to build up, despite critical acclaim. Many claimed the wall disrupted their daily routines, as they had to walk around the sculpture rather than passing directly through the square. The statue was derided as ugly and intrusive, while people also criticised the amount spent on the project. Public resistance grew, with a petition requesting its removal quickly gathering the signatures of 1,300 employees in the area. The dispute led to a public hearing, and after a hugely controversial court case, the artwork was removed in 1989. It now lies in three separate pieces, collecting dust in a warehouse. Tilted Arc certainly split opinion and opened up many debates surrounding the role of public art. Indeed, it is rare for public art to be constructed without attracting any opposition. This was demonstrated by the initial resistance to the Statue of Liberty, which amassed criticism but then went on to become a truly unforgettable work of art. While public art will inevitably hold the risk of splitting opinion, it is far from a frivolous expense. The presence of good public art has an enduring and important impact on a location – one that continues over time.